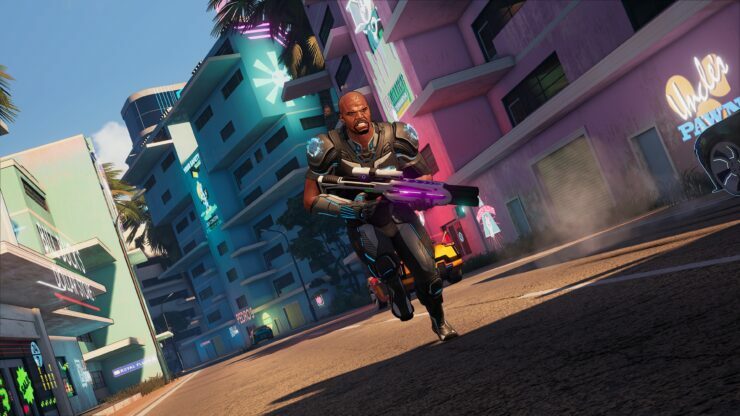 Crackdown 3 is less than two weeks away from launching on Xbox One and Windows 10 PC, after a lengthy and troubled development phase with multiple delays (the game was originally due to come out alongside the Xbox One X on November 7th, 2017). In an interview with GamesBeat, Microsoft Studio Creative Director and Writer Joe Staten revealed that the single player campaign is expected to last over fifteen hours, which would make it quite a bit longer than the first two Crackdown games. Crackdown has a decent menu. Bigger than some, not as big as others. If you want to play by yourself or with a close friend, if you just want to have a relaxing story experience, great. We have this really cool 15-hour-plus campaign. If you’re in a mood to bash in people’s teeth, be super competitive, we have that mode for you as well. You don’t need to actually bash anyone’s teeth, but you know what I mean. That’s the reason we have the campaign. We want to make sure that when millions of people jump into this game in Game Pass and they think, “Well, how do I want to play Crackdown? I’m not really a multiplayer person. Does it have something I can play by myself?”, yep, we do. Hopefully they’ll fall in love with Crackdown that way, and other ways as well. The discussion inevitably touched upon the cloud-powered Wrecking Zone competitive multiplayer mode, where Havok physics is executed via Azure. Staten said Crackdown 3 merely harnessed a fraction of what’s possible with cloud compute and said he’s eager to see what other developers can do with it. The thing that’s interesting from a technical, developer point of view–I’m really eager for other developers to take a look at this and see the one interesting choice we made, simulating destruction in the cloud. Smart developers can say, “Well, what could we do?” There are clearly things you can with animation, with AI, with machine learning. Bigger player arenas, higher player counts, you name it. I hope people will look at Crackdown and think deeply about other novel experiences they could do with their game. Microsoft has big expensive data centers all around the world. [laughs] We have harnessed a fraction of that power for this one experience. So far, no other projects powered by cloud compute technology have been announced, though a few developers and publishers did point out the opportunities enabled by this tech. Crackdown 3 is out on February 15th and it will be available for free to active Xbox Game Pass subscribers.